Smith & Williamson started life almost 120 years ago in Glasgow and has long combined accountancy and investment/banking arms in a single entity. Today, the firm has two main divisions – tax and business services, which covers all the usual aspects of an accountancy practice, plus investment management and banking. Within the latter is a boutique operation that has run private client money for many years and is now looking to offer its wares into the adviser sector. Leading this charge are ex-Skandia head of investment sales Angus Duncan and ex-Axa Framlington director Nick Hodgson, with the latter joining late last year. The group has several regional offices around the UK, five of which offer wealth management services, while all the pooled funds are run out of London. Duncan believes this internal private client manager audience for the funds brings an extra level of scrutiny rare in investment houses and means the range has to be compelling. S&W has grown considerably via acquisitions in recent years, merging in 2002 with NCL (Securities) Limited and in 2005 with Solomon Hare. As a result of the first deal, the group inherited a fund range under the Nucleus banner and rebranded these Smith & Williamson in 2007. This was part of a move to establish itself outside the private client market, removing this potentially confusing second brand to exploit the S&W name. Alongside this, it also tweaked certain fund names to make the group’s mandates clearer and raised annual management charges to allow trail commission to be paid. Duncan has also been working to list various key funds on platforms to increase their visibility, adding its cash offering to Cofunds, for example. Cash has been a major story for the group, redomiciling its fund to Dublin in order to benefit UK taxpayers in 2008. As a UK-based vehicle, higher-rate taxpayers faced 40 per cent charges on gross dividend payouts and this fell to 32.5 per cent follow- ing the re-domicile. This is the difference between paying tax as if the dividend were interest income and a normal company payout and Duncan says the move was right from a TCF perspective. After listing on Cofunds, the cash fund was among the platform’s top sellers in the late months of last year, taking around £200m. Elsewhere in the group’s range, Duncan also highlights the recent marquee hire of Mark Pignatelli to run the European fund. This vehicle was previously outsourced to New Star but came back in house after Pignatelli joined from Barings. He built a strong reputation during a long stint at Schroders during the 1990s and S&W plans to push his offering when he has built a track record. Other key products include the long-short Enterprise, with a more accessible Ucits III version in the pipeline, a gold fund run by 45-year industry specialist Bob Farquharson and a Far Eastern portfolio run by Jane Andrews. This latter offering currently sits in the small Asia including Japan sector and the group has mooted launching a more flexible mandate for the manager, potentially ex-Japan. Perhaps the group’s best-known product among professional investors is its North American fund run by the grandly titled Lady Tana Focke. One of the most experienced managers in the City, the daughter of the late 6th Earl of Caledon started her career in 1968. She now boasts a near 12-year track record on the fund and Duncan highlights it as a solid offering in a capricious market, boosted by a long-term blue-chip spine. Looking forward, the group has various products in development but will only offer mandates that suit its double audience of internal and external investors. Duncan feels S&W is well placed to make a decent mark in the retail world. It has no legacy of dissatisfied investors suffering credit crunched returns and a long track record running private client money in several key areas of the market. The Government is preparing an emergency £60m bailout of Scotland’s largest building society Dunfermline in a bid to prevent a run on the mutual. NDFA has brought out a FTSE 100-linked structured product that provides monthly income over a five-year term. The FTSE 100 opened lower at 3,896 after its previous close of 3,911, with insurers down after Legal & General halved its dividend and posted a pre-tax loss of £1.5bn for 2008. 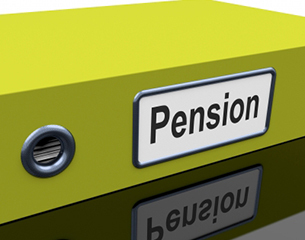 The introduction of ground-breaking pension freedoms in April 2015 has created some uncertainty for employees and employers alike, and they are looking for help. With further changed announced in the summer Budget, employees really need help to understand how the changes affect them.